DISTRICT DEEDS “Three Facts Media Won’t Report” UPDATE: 1/2 Down, 1 Added (Pink Slips Sent to Wrong Employees)! San Diego News Media – Be Fearless – You Can Do It!!! San Diego Unified School District Superintendent Cindy Marten, Trustee John Lee Evans and the Public Relations Propaganda Department are still spinning truth about the Deficit Scandal Pink Slip layoffs…and the San Diego News Media is still chasing them for the facts. On Thursday, March 2nd, District Deeds published “Three Facts About the San Diego Unified School District $124 Million Deficit Scandal the San Diego Media Won’t Report!! !” where we called out San Diego Unified Superintendent Cindy Marten, Trustee John Lee Evans and the Public Relations Propaganda Department for misleading the San Diego News Media into thinking that there were somewhere between 400 and 750 layoffs due to the SDUSD $124 Million Deficit Scandal. District Deeds provided the actual SDUSD layoff reports in our story along with a line by line count of positions being impacted…in total 1,783 positions. The San Diego News Media went to work. Within hours the VOSD posted a story stating “around 1,500” layoffs. One day later, Friday, March 3rd, the SDUSD Public Relations Propaganda Department leaked layoff numbers to San Diego Channel 7/39-that there were actually going to be 1,476 Pink Slips handed out…still inaccurate. Other local media outlets upped their totals to 1,400…still inaccurate. Then, a couple days ago, VOSD came up with a new total of 1,576, by adding “at least 100 administrators”….again inaccurate. The SDUSD PR Propaganda Dept; continues to try to minimize the human resource casualty damage but the District Deeds estimate…1,783 positions…is STILL the number of Pink Slips distributed that Stakeholders need to remember. Typically, as the SDUSD was compelled by the media to tell the truth, they misled the San Diego News Media again with another lie…and a cover-up. They lied, in the same San Diego 7/39 story, to Rory Devine from San Diego 7/39 that Pink Slips were going out Monday, 2/6/17…we proved Friday, March 3rd, that they had already gone out, with the “Hidden Fact” being that, some to the wrong employees. So here we are, over a week later, and NO San Diego News Media has reported the fact that the Pink Slip process had been bungled by Supt. Marten causing DOUBLE damage to the most vulnerable of SDUSD Employees. The $124 million Deficit is a Scandal created by Gross Financial Mismanagement by SDUSD Supt. Cindy Marten and Sanctioned by the Board of Education. There is a Complete Breakdown of Accountability at the SDUSD Board and Superintendent Level and It Started with the Hiring of Cindy Marten. 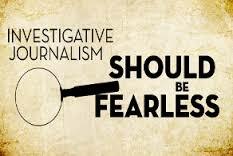 C’mon San Diego News Media, Be Fearless…You Can Do It!! !